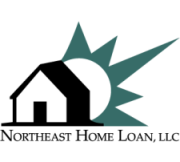 Lending Partners | Northeast Home Loan, LLC. As a full service mortgage banker owned by one of Vermont’s leading independent community banks, we understand the importance of local relationships and local decision making. Whether it’s our community or yours, our goal is to serve community-based mortgage professionals in a way that respects and builds upon your local relationships. We are licensed to lend in five of the New England states (excluding Rhode Island) through local mortgage broker relationships. The mortgage brokerage firms we work with are some of the finest in New England, providing top notch client consultation and mortgage finance expertise. In this way, we combine the best of local customer service provided by our broker partners with our deep New England roots and real estate market knowledge. We also partner in all of New England with local community-based lenders, like banks, credit unions, and independent mortgage bankers, providing a secondary market outlet for loans they close in their own name with their own funds. This combines the best of their local lending services with our expertise in capital markets management and secondary market delivery.